Thermicroll® is a solid company specilized in design, manufacturing and installation of shutters and industrial doors for small, medium and large companies. The company manufactures industrial shutters and speed doors for large companies such as airports and ports, retail stores, industries, car washes, hospitals and barracks, dealing directly with the whole process through its turnkey offer. A solid company specialized in the production, sales and service of industrial doors, rolling doors, speed doors, commercial doors, insulated doors and industrial shutters. The in-depth knowledge of the mechanics, combined with technological automation, allow an accurate design of the high speed rolling doors. All this means that we can create innovative and cutting-edge solutions to separate different areas and working environments. 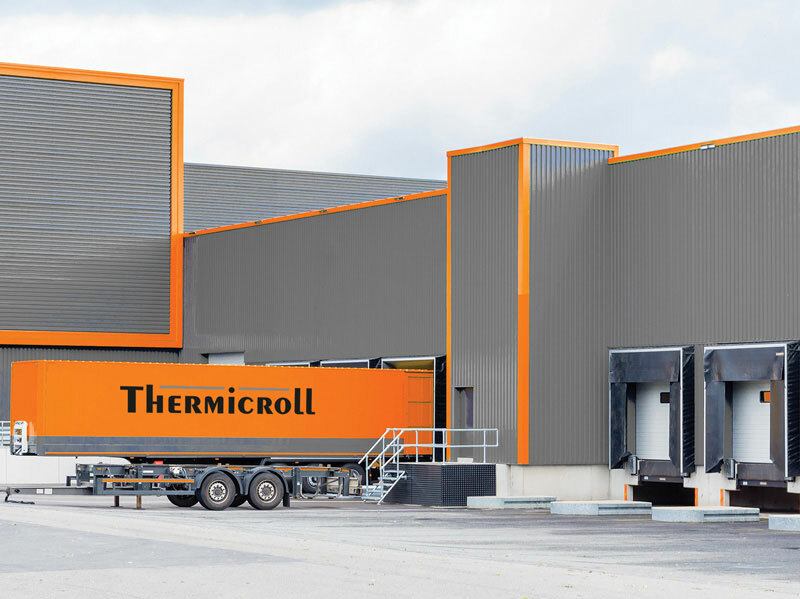 Technical knowledge, combined with strong experience in the field of industrial closures that facilitate the safe handling of vehicles, materials and people, have made Thermicroll® a leader in its sector. Safety, security, guarantee, quality and versatility are just some of the features and advantages that distinguish our industrial doors and our working methods. Thanks to a highly consultative approach, with a strong network of technicians distributed throughout the territory, we take care of our customers by offering technical assistance, support in the choice, installation and maintenance and solve any problem that may exist on Thermicroll® products. Many companies have already chosen our industrial closures, on the following page you can see some companies we have worked with. The rhythms and quality of work demand increasingly high standards year after year. The future of operations and energy supply will also lie in facilitating the handling of vehicles, materials and people and in containing costs: parameters that affect the performance of the entire production site. We develop advanced and user-friendly speed doors industrial shutters. This allows companies to reduce the time and cost of their traditional production processes. ON THE SIDE OF YOUR BUSINESS TO OPTIMIZE, OPERATE AND INNOVATE. Thanks to strong investments in research and development, our company has established itself as a leader in the industry of industrial closures for small, medium and large companies. Our “turnkey” offer includes the production of any type of industrial closures as the industrial insulated shutters and industrial rolling doors. When you need to solve separation and delimitation problems our industrial doors are the best choice. So, whether we are talking about logistics in a material loading and unloading area or a real warehouse, our technicians are available to offer you all the necessary assistance in the search for the best doors and industrial shutters.. The production of our industrial closures is completely Made in Italy. Thermicroll® is specialized in speed door design and every industrial closure is tested and supervised directly throughout the entire production process. In this way, we guarantee the best industrial doors on the market for quality and reliability. The advantage is obvious: the production chain is guaranteed by only one specialized partner, which deals with the research, selection, design and production of industrial shutters and rolling doors. Here at Thermicroll®, attention to detail is focused on every company function and culminates in the stages of testing and quality control of industrial closures, carried out in the company first and then at the installation site.